Our legal team will utilize our skills and experiences to create positive outcomes no matter how complex and unique your situation may be. Lauren Kingry is a skilled family law litigator who knows how to secure the results you are counting on. Our legal team is prepared to ensure all aspects of the dissolution of marriage are dealt with appropriately and efficiently and that our clients are in a position for settlement or if necessary litigation. Child Support cannot be waived in the state of Florida. Florida law requires that all parents have a financial obligation to their children. Once a Child Support case has been established, if you are the parent required to pay Child Support your drivers license may be suspended if you are 30 or more days past due. Florida Courts use the incomes of the parties as well as a the current timesharing schedule to calculate child support guidelines to determine how much the paying parent will be responsible for. Child Custody in Florida is also referred to as timesharing or visitation. It is usually agreed upon by the parties and formatted into a parenting plan that will be entered in Court. If the parties cannot agree on a timesharing schedule, the Family Court Judge will decide based on the Best Interests of the Child. The parties will then follow a Parenting Plan that is created and agreed upon then finalized with a Court Order. The Parenting Plan will be attached to the Final Judgment of Dissolution of Marriage or if the parties are unmarried, the Parenting Plan will be filed with the Final Judgment of Paternity. In Florida, there are five types of Alimony- Permanent alimony, Bridge the gap alimony, Rehabilitative Alimony, Durational Alimony, Lump sum Alimony. Alimony in Florida is based on the length of the marriage as well as the need and the ability of the party to pay. Lauren Kingry has years of experience with military divorce. Florida divorces meet the same residency requirements as a military divorce meaning that one party must be a resident for at least 6 months prior to the filing of the Petition of Dissolution of Marriage. Lauren has experience with Relocation Petitions as well as Military retirement and pensions. Some parts of Divorce Final Judgement may be reopened for a Modification based on a substantial change of circumstance. Alimony, Child Support, and Timesharing are common issues for Modification. The parties may agree on the Modification and have it entered by a Family Court Judge or there may be a Court Hearing for the Judge to create a new Order which would be binding on both parties. What to expect from an adoption home study? After making the decision to adopt, the first step in the process is to have a home study completed. All home studies, with the exception of close relative adoption and step-parent adoption, require a home study. Home studies screen the home and life of prospective adoptive parents. Contested Divorce? Contact an Attorney. A contested divorce is where the parties don’t agree on the resolution of things such as alimony, equitable distribution, child custody (now referred to as timesharing), child support, etc. It is common for a divorce to start out very litigious, contesting all issues, then as the divorce progresses, the parties end up settling some, or all of the issues. Does an affair matter in your divorce? The simple answer is no. Florida is considered a “no-fault” state and has a “no fault” policy when dealing with an affair. The purpose of a deposition is to establish the facts, issues and circumstances of the case as each party sees it. The testimony given at deposition should match that which will be given at trial. The deposition will take place either at an attorney's office or the office of the court reporter. How does the length of my marriage determine what kind of alimony I will have to pay or receive? In Florida, the length of a marriage is defined as the date you and your spouse are married though the date either party files an action for dissolution of marriage. 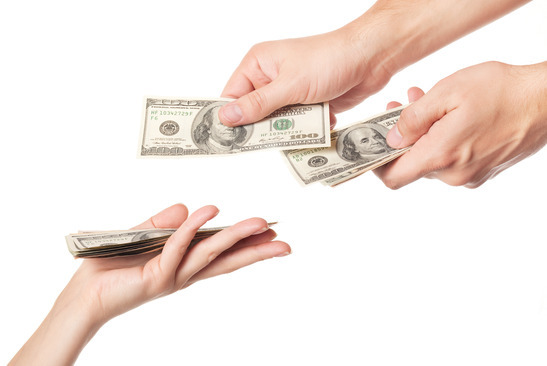 The length marriage affects a spouse’s entitlement to certain types of alimony. In Florida there is what is referred to as a short term marriage, a moderate term marriage and long term marriage. Florida is a no fault state and that means that you do not need a consent or a reason from your spouse to file for a dissolution of marriage. As long as you or your spouse have been a resident of the State of Florida for six months before filing a petition for dissolution and your marriage is irretrievably broken, you can get a divorce in the state of Florida.